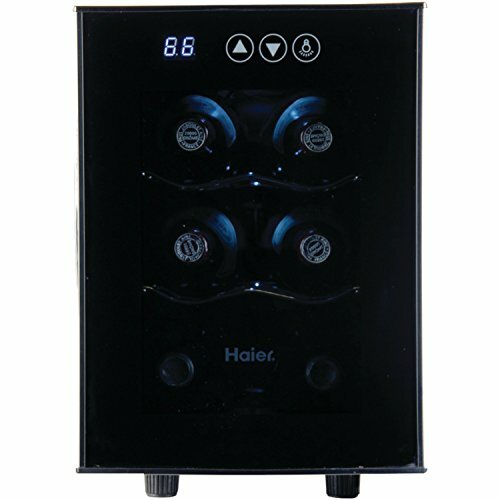 The 6 bottle Haier HVTEC06ABS wine cooler is an idea countertop wine cooler. Taking up little counter space, yet freeing up valuable space in your main refrigerator. The dimensions of this unit come in a 9.9″ wide x 20.3″ deep x 14.1″ tall. 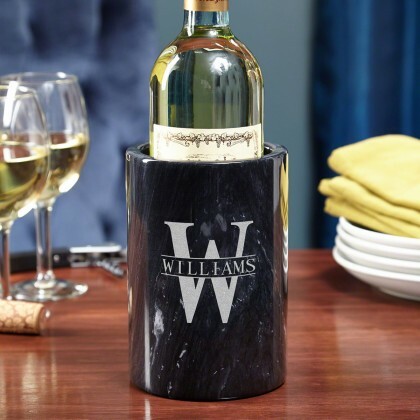 Seems like, most anyone can find a spot to fit this extra small wine cooler. 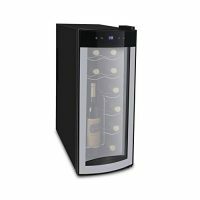 The glass door wine cooler features a digital touch screen temperature control. This particular model can be set to maintain a temperature anywhere between 46 and 66 degrees Fahrenheit. Perfect temperature settings for both red and white wines. Also, this unit utilities thermoelectric cooling technology. 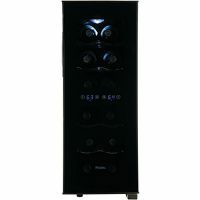 Additionally, this wine cooler is essentially silent. This wine cooler’s interior features a soft white light. As a result, this wine refrigerator has a polished appearance. Additionally, the smoked glass double-pane door is trimmed out in black. 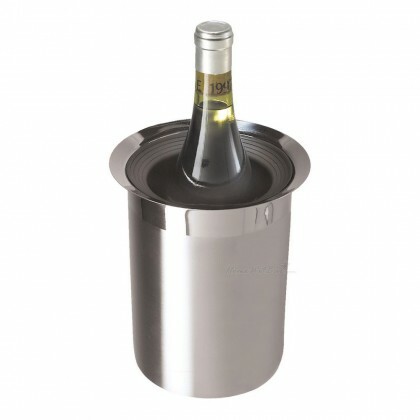 Overall, we find the HVTEC06ABS to be an excellent option for an extra small wine cooler. 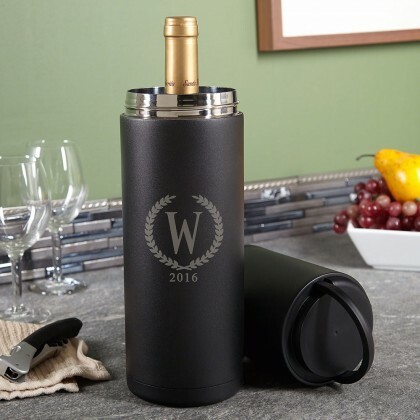 Most of all, it will be tough to find a wine cooler of equal or better quality for the money.